Thanksgiving time is a good time to reflect on one's predominant fault. One must ask God to help one with this root of all sins in one's life. One cannot fight it if we do not know it. Some of this post is repetition. Ask yourself, as Garrigou-Lagrange notes, what makes me happy or sad? What are the same sins I confess over and over? Can I see a pattern in these sins? If someone points out a sin in my life, how do I react? Am I honest in the confessional about tendencies to sin? Cultures share sins as well, and sometimes one must remove one's self from a culture of sin to see that sin. This is what the nuns and monks do in monastic life. They remove themselves from the habitual, even inherited sins of families in order to create a new atmosphere of grace and repentance. Too often, families share predominant faults and parents must be careful not to pass these on to their children. Is there an atmosphere of anger and impatient in your house? Is there an atmosphere of sloth? Is greed in your family? Can you be brave enough to break away from these sins.? Do I really believe in God's Perfect Purity and Innocence? Do I believe in God's forgiveness? I am living in the land of impatience. So many people cannot wait in lines, deal with traffic, or slow phone trees. A lot of anger seems to be felt by people who just cannot wait or be patience. One definition of impatience is the tendency to be impatient; irritability or restlessness. This is a sin. Impatience stems from pride. Anger is also connected to pride. Meekness comes with humility. I have a friend who is a doctor in another state. He is the most humble man I know. He is never impatience. His humility allows him to be patient with many people. One thinks that the business one is doing is more important than other people's business. I have written on the predominant fault here several times. Follow the tags. Here is the great Garrigou-Lagrange on this topic, and some of this is a repeat. Learning to diffuse impatience is a gift as well. Diffusing impatience means being patient and waiting. Waiting demands that one realizes that all people have things to do which as just as important as what one has to do. Patience reveals a meek and humble heart. Think of the patience of Christ on the Cross. What right do we have to demand that others do our biding in our time lines? 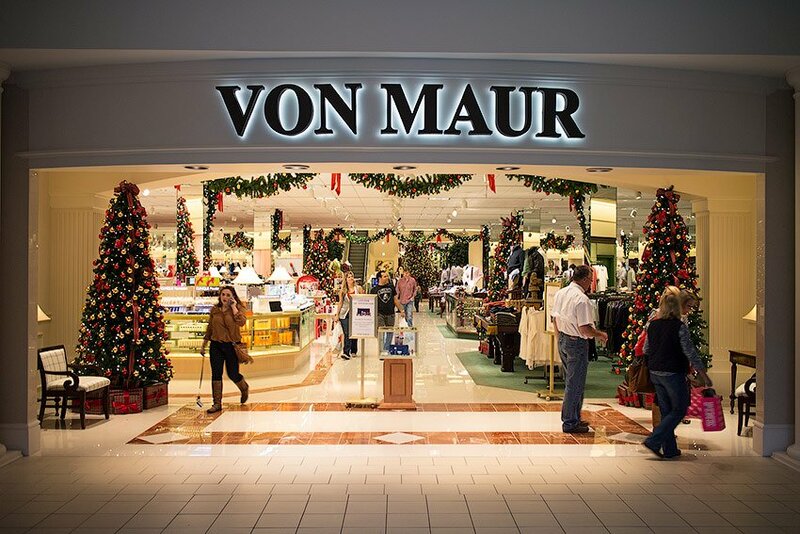 The Von Maur department stores will not be open tomorrow. This is the only major store I know which will be closed. God bless those owners and managers. No shop needs to be open on Thanksgiving, or Christmas, or Easter, or any other national holiday. Many shops stay open or open in the evening. If a worker objects, that person gets fired. Greed rules too many store owners. Von Maur is a good example for all. I have a friend who is a saint. She is also married to a saint. This family has raised six children to be excellent Catholics. Not one child fell away. They are a TLM family. The dad and mom did not raise their children as "friends", but as sons and daughters. There is no confusion in that family as to who is the authority-Dad. This saintly woman told me yesterday that she has learned over the years to hear God, to listen to movements from the Holy Spirit to pray for people, to give advice as needed, to correct, to sustain. This family does not and has not had television. The children are all grown-up and in their middle or late twenties except for one teenager. The children have learned how to pray. Prayer is listening to God. But, there must be silence. I know of another family where all but one child has fallen away from the Faith. The parents to this day live a life full of noise and useless activity. The house is never quiet, as the television and radio are on constantly. These parents cannot understand why their children fell away. The home was not reflective; the home was not an oasis of peace and silence. Most Americans seem not to be able to live in silence, even for part of the day. Noise here is constant. The Americans have become afraid of quiet and silence. Since moving here, except for a few days in a house where a friend of mine was gone all day, I have been surrounded in noise. Why cannot Americans be quiet? I think part of it is fear, fear of meeting one's sinful self, fear of God. I think that purgatory must be loud and noisy. I think hell must be cacophonous. God speaks to us in the silence. If we do not make silence in our day, daily, we shall not hear God. 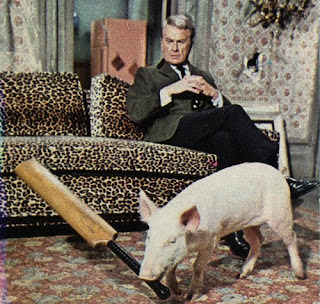 What movie is this which shows a pig with a cricket bat? A mindset of the American Dream is that happiness is gauged by the accumulation of things. Some people become angry when they do not have things. As most of you know, by choice and by circumstances both, I have been living out of two suitcases for three years. This simplification of my life led to an emphasis on the interior life and an de-emphasis on the accumulation of things in my life, a tendency, to be honest, for which I was not prone. However, the "wheelie bin" syndrome of Americans astounds me after so many years in the EU. The proliferation of paper, plastic, various wrappings, and the lack of simplification of lifestyle, wherein the purchasing of fast food and therefore, the use of more paper and plastic add to refuse collectors' busy days, and to the problems of the lack of landfills, makes me wonder why Americans are one, angry, and two, so non-reflective of their lifestyles. I cook, most women in my generation cook. That is not true of the two generations under me. The fast food and restaurant industries thrive on the fact that women do not cook. Now, when one is without the means to cook, like the two men I have seen in the McDonald's who are homeless and who come in for a daily meal, that is not the same as those who merely cannot be bothered to shop and cook. The wheelie bin syndrome allows for the proliferation of garbage. In some places, there is still no recycling and in some places, many items cannot be recycled-like yogurt pots. I use to make my own yogurt. 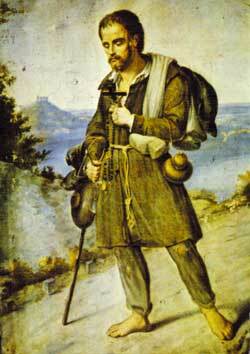 St. Benedict Labre is one of my personal patrons. 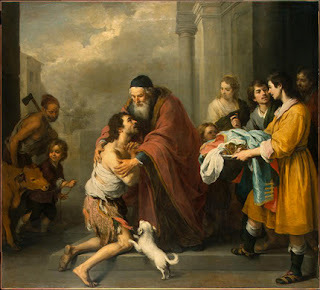 He made homelessness into an occasion of saintliness. People in his time recognized something in this man, because they looked at him. The homeless here are invisible. Some people with large wheelie bins do not see the homeless. Wheelie bins represent the waste here. Recycling, which should eliminate waste, encourages waste, as fast food places can advertise that they recycle. My ancestors used every bit of the deer and cows they killed and cleaned. My grandmother used fat for her hands. The generations of the past did not need wheelie bins. This Thanksgiving, I ask readers to try and not buy so much and not waste. Europeans eat much less and waste much less. Of course, markets still exist, but few people use plastic bags and buy jute bags to use over and over again for shopping. Why cannot Americans do the same? I am grieved by all this waste in view of the number of homeless and hungry people, to whom the Pope referred in his apostolic exhortation yesterday, and who are obvious to me in this Midwest city. What would Americans do in a town, such as the one I lived in part of the time in Surrey, where garbage collection was only once every two weeks and recycling picked up on the alternate week? Do Catholics stop and think that this waste can go on without limitations? The greed and lust of Americans has spun out of proportion to the blessings of this once God-fearing land. It is not the job of socialist governments to take care of the weak and suffering; it is our individual duty. We do not need all the boxes, bags, plastic wrap, and paper cups as well as bottles and cans which fill up our lives. Ask yourselves and your families today and especially, tomorrow, how you can all cut down on waste? I passed garbage bags in Chicago so full of thrown away food that I was ashamed and knew that the garbage dump gathering children of Central America could live on this waste. Skipitarianism, or the living off of things found in skips, or dumpsters, is a reality in many cities. When I lived in Calgary, there was a man who lived in the skip next to our apartment. I would bring winter bedding and hot food out to him. If you know the weather in Calgary, you might wonder if he survived. I doubt it. He took the things I gave him and and I tried to get help for him, but he disappeared. 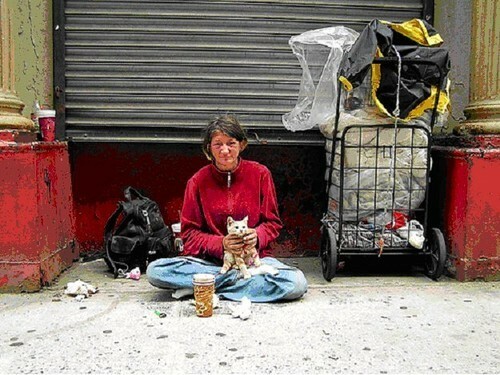 A nation is not civilized which has starving, hungry and homeless people of any age. Catholics must begin to address these realities. In my diocese, there has been no Catholic Charities for a long time. Why? The Protestant Work Ethic, which judges the poor and condemns them for sin and failure, is endemic in the Catholic circles. Please take the Pope's words yesterday and apply them to your lives. I am trying to do that. Giving money to food banks or homeless care centers is not enough. Those are temporary solutions. America is no longer civilized. Judge by those who are hungry and homeless. Live more simply. Think before buying. Limit yourself. If you have not been following this, check out this link. God forgive us for thinking that all people have a "support unit". I was visiting yesterday with people who were listening to Rachel Maddow. I could not avoid hearing this program for several reasons. She was going on about the Catholic Church being against anti-contraception and anti-abortion. I cannot believe the hatred of Catholics, and corporations like Hobby Lobby, which are being targeted by this woman. The last acceptable prejudice; the hatred against even the Pope, who was mentioned yesterday in this report shows me how far America has gone into godlesssness. God forgive us. If Catholics can watch this chilling show and not be moved to know that persecution time is near, these people are living in la-la land. When a mainstream media person, who gets millions of dollars for her so-called journalism, can spew forth irrational anti-Catholicism, and have this accepted and approved, the days of religious freedom for Catholics is limited. It is freezing here. I am thinking of my ancestors who were on the prairie, those earliest ones who were on the Oregon Trail. I am wimpy compared to them. The great evil of this heresy is the breaking of a person's contact with reality. Dare we say that we know of many leaders in the world who believe they are good and godlike, without killing their own wills, without recognizing the Transcendence of God? Many Catholics choose their own religion which has little to do with the Teaching Magisterium of the Church. 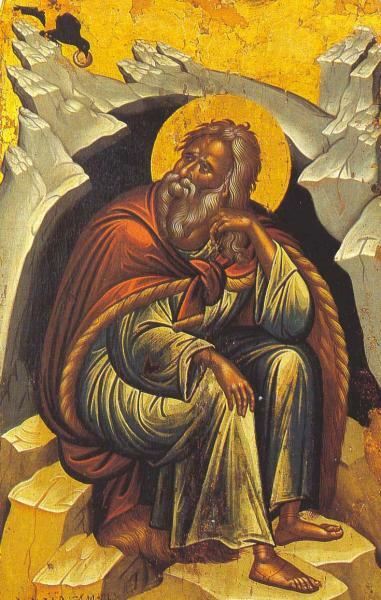 Remember, if one is not orthodox, one cannot even start on the road to perfection. The number of men and women in the world who are depressed is a symptom of immanentism, as the logical consequence of always following one's own will. The natural consequence of following one's own, subjective way would be depression, because we were not made for ourselves, but for God. With the rise of mental illness, we could be asking ourselves whether the making of ourselves into gods causes such a disruption of reality, as we are actually denying who we are in the eyes of Our Creator. The only real peace is in the Will of God. When the early settlers gave thanks to God, they knew who they were. They were children of a Loving, Providential Father, Who had a plan for each one of them. They knew that to be thankful was part of being human. When we forget who we are and where we are going, we fall into sadness and, even, derangement. Pray for those millions of people in America and elsewhere who have lost the idea of their being rooted in God, in the Trinity, in the truth which is only found in Jesus. I like this emphasis on people claiming they know God, but in reality, they have defined Him in their own terms. Instead of dying to self and being open to the real God, people who only worship themselves, or what they think if the image of God in themselves, fall into deceit. As noted above, this deceit leads to an emotional sense of being, rather than a rational one. The god within is merely a reflection of egotism and sin. Part of the huge problem today of many people who are living a godless life, is that they honestly believe they are "religious" or "spiritual", when in reality, they are merely caught up in idolatry. Sadly, some Catholics have fallen into this idea of immanentism, thus denying the need for the sacraments and, therefore, sanctifying grace. One is the attraction of gnosticism, a purely subjective faith whose only interest is a certain experience or a set of ideas and bits of information which are meant to console and enlighten, but which ultimately keep one imprisoned in his or her own thoughts and feelings. The other is the self-absorbed promethean neopelagianism of those who ultimately trust only in their own powers and feel superior to others because they observe certain rules or remain intransigently faithful to a particular Catholic style from the past. A supposed soundness of doctrine or discipline leads instead to a narcissistic and authoritarian elitism, whereby instead of evangelizing, one analyzes and classifies others, and instead of opening the door to grace, one exhausts his or her energies in inspecting and verifying. In neither case is one really concerned about Jesus Christ or others. These are manifestations of an anthropocentric immanentism. It is impossible to think that a genuine evangelizing thrust could emerge from these adulterated forms of Christianity. Looking at this section, one sees that the Pope is obviously in touch with the great wave of narcissism in the Church, as well as in society. The spirit of gnosticism appeals to those who want to be in a specialized group, those who want to be "special" and in the know. Such people want to feel as though they are special. They want to feel better than someone else. They also do not want to give up their own new age ideas. That the Pope also referred to neopelagianism is refreshing, as that heresy is most likely the most common one in Great Britain. This heresy claims that men and women can gain salvation on their own efforts.